Nicola Boem (Bardiani-CSF) took the victory on stage 10 of the 2015 Giro d’Italia after an unlikely breakaway managed to hold-off the peloton on a flat stage which looked destined to end in a bunch sprint. An all Italian break formed after 7km of the route and included Oscar Gatto (Androni-Sidermec), Alessandro Malaguti (Nippo-Vini Fantini), Matteo Busato (Southeast) and Alan Marangoni (Cannondale-Garmin) alongside Boem. The fivesome stretched out a maximum gap of 4-41 before the time started to tumble, but as they approached the final 10km with 1-30 over the main bunch, it began to look like the sprinters were out of luck on a day tailored to them. André Greipel’s Lotto-Soudal teammates were the most active in trying to bring everything back together, and were still in with a good chance of setting things up for a second stage win for the German as Gatto punctured and returned to the main bunch just outside the 10km to go mark. But the break never slowed, with Malaguti the first to attack his breakaway companions and the remaining three immediately attempting to chase him down. Malaguti cracked on the final stretch to the line in Forli, and Boem was able to sprint clear to take his second career victory. 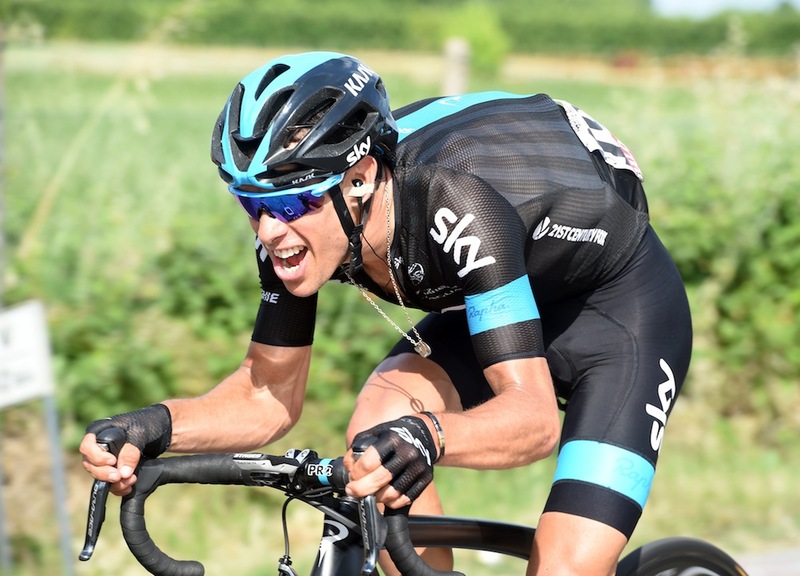 Behind, disaster struck for Team Sky’s Richie Porte, who lost 47 seconds to race leader Alberto Contador (Tinkoff-Saxo) after he punctured with around 5km to go on the stage. The Australian was immediately aided by teammates, who tried to pace him back to the bunch, as did compatriots Michael Matthews of Orica-GreenEdge. Another Orica rider, Simon Clarke, gave Porte his front wheel to help him back into contention. But it never looked as though he was going to make it back up to finish equal with Contador and Fabio Aru (Astana), and so slips down to fourth in the GC, 1-09 behind the maglia rosa. Wednesday’s stage 11 sees an undulating profile presented to the riders, with a tricky set of finishing laps around the motor racing circuit in Imola.